This house tour caught our eye with its contemporary and cheerful take on family living. We especially love this inviting seating area. The room manages to do classics in a modern way that is not too cool. Take, for example, the pair of wingbacks — these traditional chairs are updated with black piping to contrast with the clean, white upholstery. 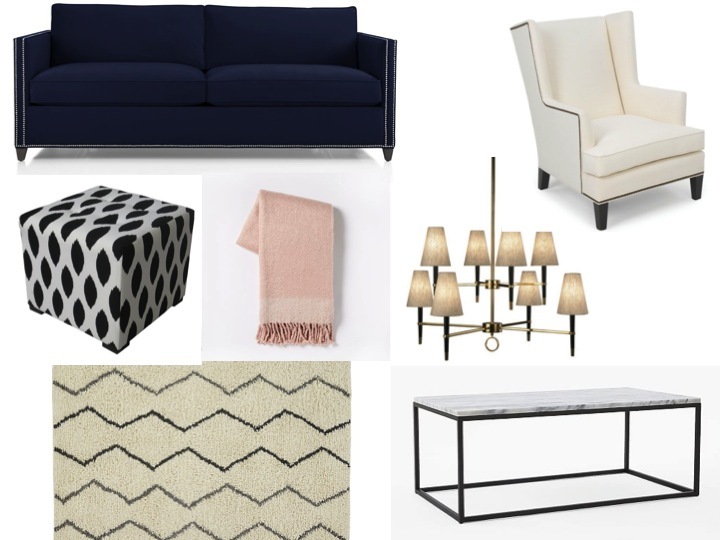 Black and white is further echoed in the ottoman; the trendy, but still timeless Moroccan rug; the two-tier chandelier; and marble coffee table. The indigo sofa — accented with conservative railheads — boasts modern, clean lines. 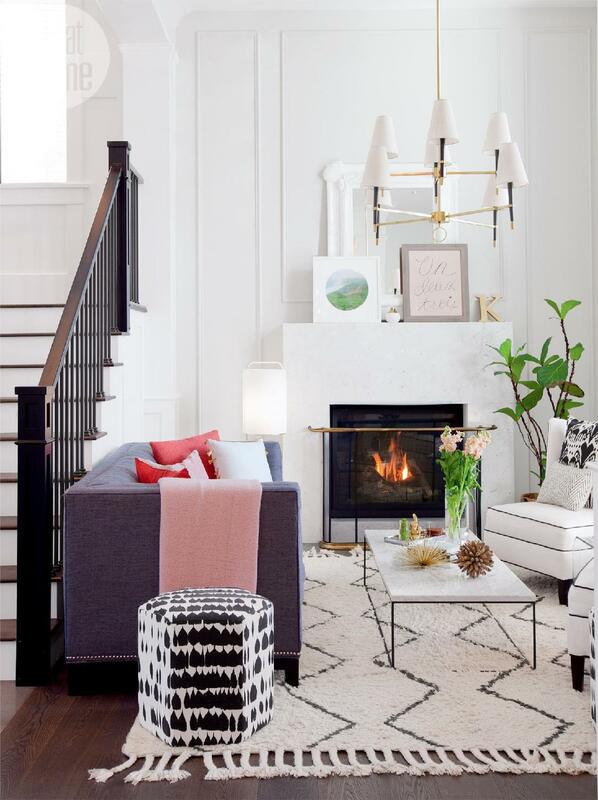 Throwing in some red and pink hues, not to mention that fabulous fireplace, gives the space some warmth.